J. Sterling Morton and his wife moved from Detroit into the Nebraska Territory in 1854. Morton became editor of Nebraska’s finest newspaper and used journalism to share agricultural information and his enthusiasm for trees. The pioneers missed their trees and J. Sterling advocated tree planting by individuals as well as civic organizations and groups. He became secretary of the Nebraska territory and on January 4, 1872, proposed a tree planting holiday to be called “Arbor Day” and to be instituted on April 10th of that same year. 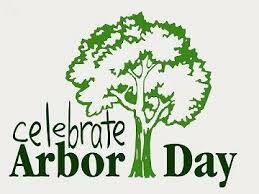 It is believed that over one million trees were planted the first Arbor Day! Other states began to observe Arbor Day nationwide. Today, Arbor Day has been declared a holiday by many presidents, to fall on the last Friday of April. J. Sterling’s son, Joy Morton founded the Morton Salt Company and continued his parents’ love of trees, starting the Morton Arboretum. The Morton family motto was “Plant Trees” and their home in Nebraska City, Arbor Lodge, is now a state park.